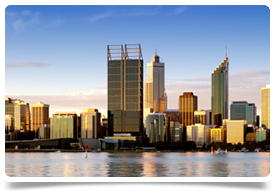 This new bulk billing practice is located in South Perth, 46km from Perth CBD, a 30-40 minute drive. It is one of the fastest growing areas in Perth and the 4 Drs at this practice are fully booked and cannot meet the demand. They require an additional 2-3 GPs to join the team. Perth is the only capital city with a wine region, conservation areas and 19 beautiful beaches all close enough to be enjoyed in a day, along with plenty of nightlife, shopping, outdoor dining and amazing marine adventures.